On September 25th 2015, countries adopted a set of goals to end poverty, protect the planet, and ensure prosperity for all. eradicating poverty in all its forms and dimensions, including extreme poverty, is the greatest global challenge and an indispensable requirement for sustainable development. How is Codex working to achieve these goals? 6 goals for safer, better food for everyone, everywhere. The first SDG is "No Poverty". If a country adopts global food safety standards such as Codex standards into national legislation then local traders can access new markets and increase their trade. They do business and create employment. Reaching this goal would mean an end to poverty in the agriculture sector. The second SDG "Zero Hunger" is a clear goal for Codex. The first target of this goal is (by 2030) to "end hunger and ensure access by all people, in particular the poor and people in vulnerable situations, including infants, to safe, nutritious and sufficient food all year round". There is strong link between Codex work on food safety and the positive outcome of food security. This goal also deals with trade and states the need to correct and prevent trade restrictions - another central aspect of the Codex mandate. 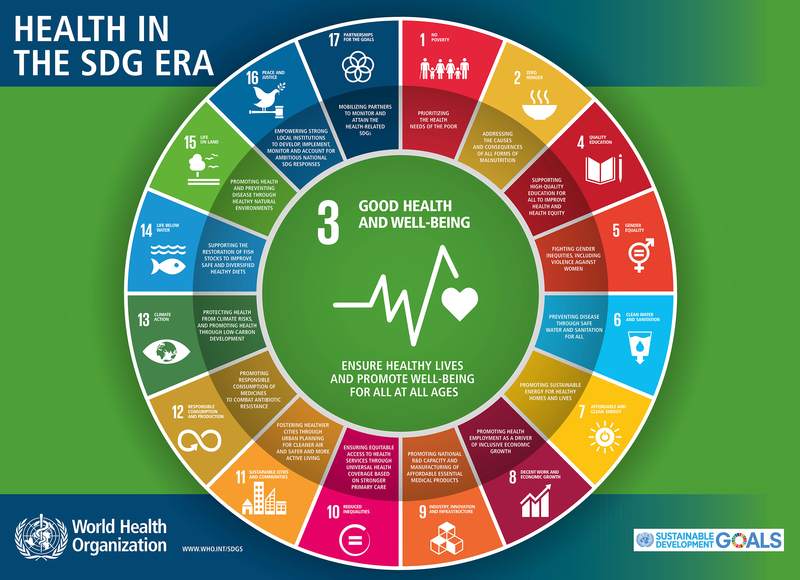 The third SDG is "Good Health and well being". When developing and transition economies engage in the development of Codex standards and then use those standards as the basis for national standards, they are protecting consumer health both within and outside their national borders. Strengthening food safety systems will enable countries to take measures to reduce the burden of foodborne disease. Goal 8: "Decent Work and Economic Growth"
The targets of this goal are linked primarily to growth, productivity and employment. Engaging in Codex, rather as for Goal 1, will help countries work towards achieving "full and productive employment and decent work for all". Trade is a vital opportunity for growth in this area and the Codex standards promote fair practices in food trade by eliminating trade restrictions and barriers to trade. Goal 12: Food waste and management of chemicals. One of the targets of goal 12 is "halving per capita global food waste at the retail and consumer levels and reduce food losses along production and supply chains". Codex work on accurate and reliable food labelling links directly to this goal. The goal also calls for sound management of chemicals. Chemicals in food are a worldwide health concern and are a leading cause of trade obstacles. The expert advice provided to Codex by FAO and WHO ensures that correct exposure levels are set in Codex standards to protect consumer health. Goal 17: Partnerships for the SDGs. Partnerships: working together will ensure that no one is left behind in the drive to reach the 2030 Sustainable Development Goals. Codex itself is one of the finest and longest standing examples of partnership within the United Nations system. Codex, together with OIE and IPPC, is also part of another strong partnership when working on global issues such as antimicrobial resistance or when called upon as the benchmark for standards in WTO trade disputes. Codex also believes in the value of partnerships with all its stakeholders, both members and observers, industry and consumers. Codex measures itself against organisations such as ISO and GFSI to ensure that the standards produced in Codex are the best, most robust science-based standards possible. 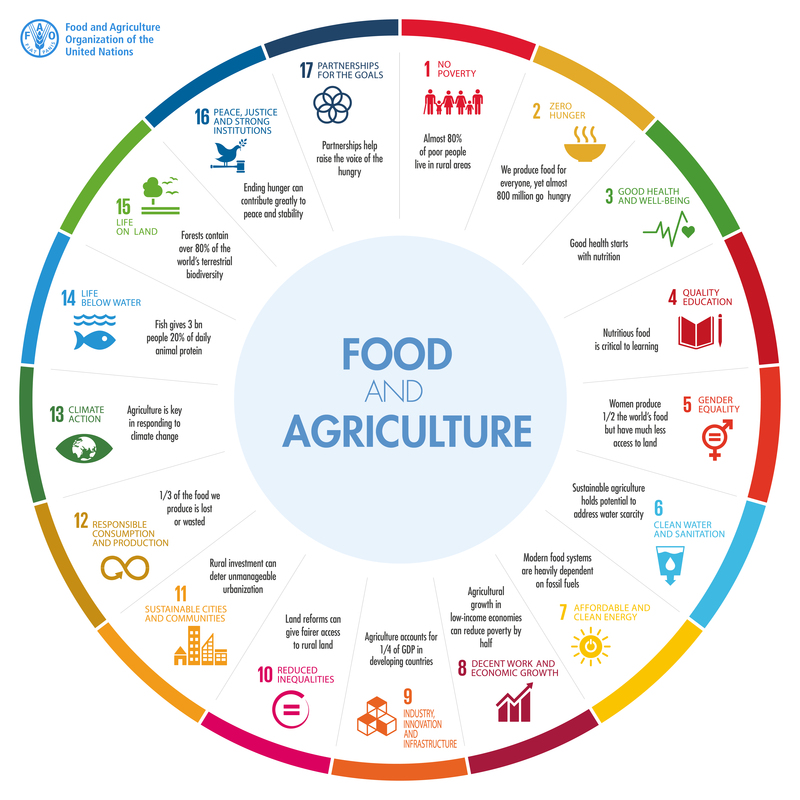 When Goal 17 describes a "universal, rules-based, open, non-discriminatory and equitable multilateral trading system" it is pointing directly at the mandate, goals and daily work of the Codex Alimentarius. 17 goals, 169 targets and 230 indicators form the global objectives expected to guide the actions of the international community over the next 15 years (2016-2030).